All self-employed people have a responsibility to record and declare their earnings for the purposes of tax. But how you choose to set-up as self-employed will ultimately affect how much profit you make plus how much paperwork you will have to do. So what are the two most common choices for a Locum pharmacist? A sole trader is the simplest business structure you can operate under. There are over 3.4 million sole traders operating across all industries in the UK making it the most common structure. It’s quick and easy to register as a sole trader via the HMRC website. The required admin and paperwork are also less. You will need to complete a personal tax return each year. Sole traders have greater privacy. This is because the public records at Company House display the personal details for the directors of all incorporated businesses. A sole trader is personally liable for any costs incurred by their business. This means any debts could threaten the sole trader’s personal assets such as their home. The taxation on a sole trader becomes less favourable when you start earning above a certain amount. Consider Sole Trader if Your Locum plans are temporary, part-time or you are just starting out. With an estimated 1.9 million businesses, limited companies represent the second most common business structure operating in the UK. The ‘limited’ part means your personal assets are not liable if the business gets into difficulty - only the business’s assets are at risk. Registering your company name means it is yours by law. No one else can use that business name. Sole traders do not have this protection. Limited companies are more tax-efficient than a sole trader, depending on the turnover. You have access to move tax-deductible costs and allowances than a sole trader. Limited companies are more complicated to establish and maintain and that comes at an extra cost. Most limited companies will employ the services of an accountant to handle the legal and tax side of the admin. Plus setting up a limited company also incurs a fee. As director of a limited company, you also have greater responsibility. You might employ an accountant to complete your annual return but submitting it is still your responsibility. There is more administration associated with running a limited company. You’ll need to consider how this might impact on your time. If you have set-up as a limited company but regularly work for the same pharmacy business, you may be affected by IR35 legislation. This may result in you having to pay more tax. 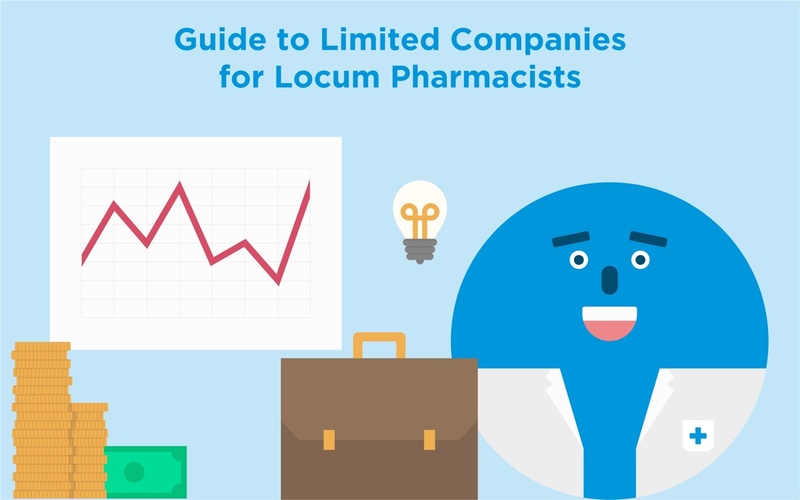 Consider limited company if You are a higher-earning Locum, work for multiple pharmacy businesses or have plans to employ staff. If in any doubt, seek advice from an accountant as to which option is best for you. You can read more about being self-employed and paying tax in our guide to locum pharmacist tax & expenses.